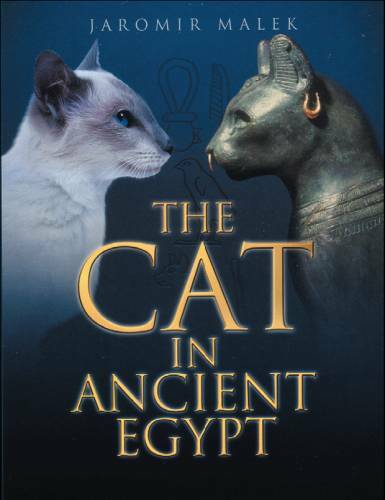 First published in 1993, this is a revised and updated edition and earlier reviewers have called it "the definitive account of the feline in Egypt". Most modern cats are thought be descended from the cats of ancient Egypt, providing a living link between the ancient civilization and modern times, and the author looks in some detail at the significance of cats in Egyptian life, religion and art. The first chapter "Running Free" looks at the various wild cats found in ancient Egypt and indeed still present today. The ancient Egyptians’ closeness to the natural world makes it no surprise that cats were closely associated with people, and that the ancient Egyptians may have even encouraged this link, seeing the usefulness of cats for pest control. It is not surprising that the cat (probably descended from wild "swamp cats" finally entered the home, and the chapter "Together at Last" looks at the domesticated cat. Although there is only limited evidence before the New Kingdom, we have a wealth of information from this period to show the domesticated cat as a loved and pampered pet, but also one that would keep the home free of rats and mice. Cats are shown under their owners’ chairs and even hunting in the marshes with their owners. The ancient Egyptians adopted the attributes and appearance of many animals into the pantheon of deities and the cat was no exception. "A Poor Man’s Lion" looks at the many aspects of cats as divine beings in the often- complex world of Egyptian mythology. "Pride Goes Before a Fall" is a fascinating chapter that looks at the representations of cats in a series of drawings on papyri and ostraca, most of which date to the New Kingdom and probably come from the Workmen’s Village at Deir el Medina. In cartoon-type drawings, cats are shown undertaking various human activities, seated on chairs, feasting, preparing their make-up and being waited on by mice (the original Tom and Jerry!) These delightful scenes tell us much about real life in ancient Egypt and the attitudes of the poorer members of the population to the wealthy. The final chapter, "Buried With Full Honours! ", looks at mummified cats, both those that were domestic pets and the large number that were mummified as votive offerings. The author puts forward a number of theories why so many cat mummies (and indeed other animal mummies) were made in ancient Egypt. This book is beautifully illustrated throughout and is a delight to read, and you don't have to be a cat-lover to enjoy and benefit from reading it. As the author points out, the cat has remained essentially unchanged since antiquity and perhaps our own modern attitudes, feelings and prejudices towards cats are not dissimilar to that of the ancient Egyptians. It begs the question, "Are we very different, in spite of time, geography, language and technology?". 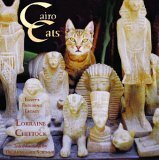 This is really a gift book for the cat-lover, who will enjoy the fine photographs of cats in modern Egypt, with their Egyptian owners and in their city environment. Lovers of ancient Egypt and cats will delight in the images of modern cats amongst the ancient ruins. It clearly is written by a cat-lover, for fellow cat-lovers, for it is the positive aspects of cats throughout ancient Egypt that feature in the short text; it concentrates on the ancient Egyptians’ apparently genuine love and respect for cats, which were considered special and not just as domestic pets. (No mention here of the massmurder of millions of cats in the later periods of ancient Egyptian history, to provide offerings to the gods.) 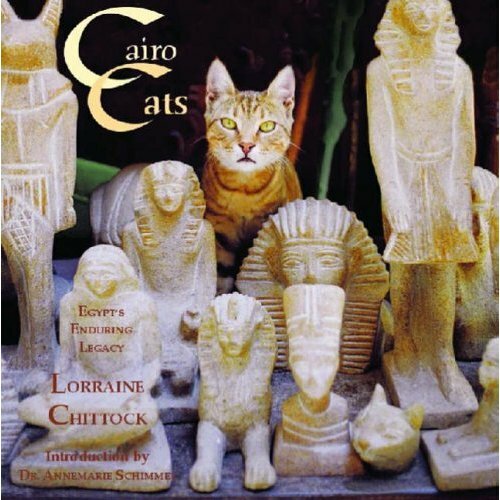 Whilst this book may be of limited use to anyone wanting to find out about cats in ancient Egypt, as a gift for friends or relatives who dote on cats, then it would be ideal. If they happen to have a passing interest in ancient Egypt, too, then that will be a bonus. This small booklet (48 pages) features the photographs of John Feeney, who visited Egypt in 1963, intending to stay one year, but who actually remained there for forty years. The photographs are excellent. They are accompanied by minimal text and captions, but they need nothing more, for they speak volumes in themselves, reflecting various aspects of Egypt, the people (including Dorothy Eady "Omm Sety" taken in 1980), deserts, buildings and the River Nile. 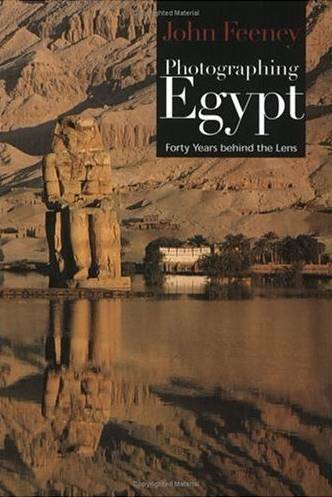 Of particular interest are some photographs taken during the last inundation of Egypt in September 1964, with one particularly evocative and splendid image of the Colossi of Memnon at Thebes, reflected in the still flood waters. Photographers will love this book, but visitors to Egypt will enjoy seeing views of things that have changed forever, but also, thankfully, those that remain timeless – one of the enduring joys of this fascinating country. ISBN 977 424 891 0. Issue 37 of AE (August 2006) featured an article by Frances Pritchard on the Exhibition at the Whitworth Art Gallery; this is the full catalogue of the exhibits. Space in the magazine allowed only a glimpse of the richness of the exhibition, and this large, superbly illustrated book is the first in-depth study of the textiles at the Whitworth from this period. Many of the items were discovered by Flinders Petrie in Egypt and are unique survivors of costume. Egypt in the first Millennium was a rich cultural melting-pot and this diversity is reflected in the clothing actually worn by people and taken with them to their graves. 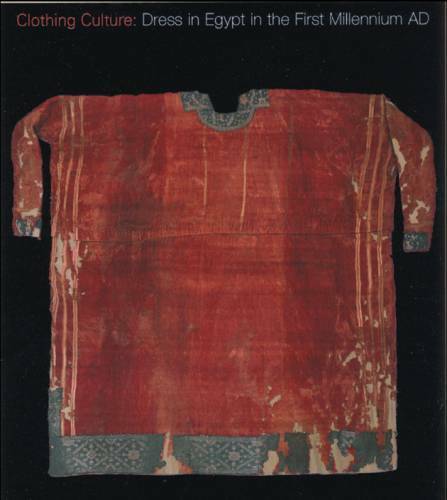 This book is an absolute must for anyone interested in the history of textiles and clothing. Some of the textiles are stunning in their richness, colours and intricacy of design, as the large-scale colour photographs in this catalogue admirably show. The way the cloth was made and cut for the garments is really fascinating and is explained concisely and clearly. If you were not able to see the exhibition, do not miss the catalogue. This large and impressive volume is the catalogue of the "Egypt’s Sunken Treasures" exhibition, currently on show in Germany and coming to Paris at the end of the year. (A UK venue for 2007 is possibly on the cards, too). The exhibition comprises over four hundred and fifty objects, many recovered from the sea bed at the sites of Alexandria, Herakleion and East Canopus. The range of objects is impressive, from granite colossal statues to gold jewellery and small coins. Most date to the end of Egyptian history and the time we know as the Ptolemaic Period, although some New Kingdom objects were clearly moved to these sites in Ptolemaic times to decorate the towns. As a catalogue, this is an excellent publication with photographs and descriptions of all the objects and background information to put them in their historical context. Exhibition catalogues such as this, featuring a wide range of objects, always become major reference books for anyone interested in the subject or period, and this will certainly be the case with this book with its four hundred and sixty-four packed and informative pages. The fact that the archaeological sites are all under water has meant that, unlike land sites, they have not been disturbed or plundered since they first first covered by the waters of the Mediterranean; it is only in recent years that underwater archaeology has revealed them again. 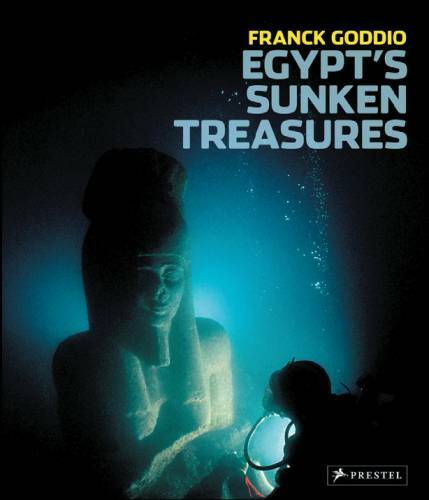 The book is full of information about the excavation and conservation process, complete with some amazing underwater images of the objects as they were first found and also of the process of lifting them from the depths back on to dry land again for the first time in almost two thousand years. Impressive as many of the objects are, it is perhaps the images of them lying on the sea bed, surrounded by fish or seaweed that are most fascinating and almost haunting. Divided into sections and illustrated with general photographs as well as photographs of the exhibition objects (not in their exhibition number order), with full descriptions and details of them, part I looks at "The Religion and its History", part II looks at the many aspects of "Religion and Beliefs" and part III at "Trade and Everyday Life". The discovery and conservation of the objects is covered in part IV, "From Excavation to Exhibition", and there is a full numeric catalogue of the works in the exhibition, listed and illustrated in part V. Part VI (Appendices) lists the contributors and various acknowledgements, though what is sadly missing form this otherwise excellent volume is a bibliography for further reading. ISBN 3 7913 3545 6. Visitors to Egypt heading to the Faiyoum or Meidum invariably stop, en route, at the Roman town of Karanis, which is just off the modern paved road. The site is large and impressive with two small but wellpreserved Roman Period stone temples and the remains of houses clearly visible; the outlines of stone and mud-brick walls emerge from mountains of sand, debris and potsherds. Karanis can be a very confusing site to the visitor – what was the town really like, why was it situated there, when was it excavated and what was found there? The small museum at the site displays some fine objects, but it is difficult to understand them in their context. 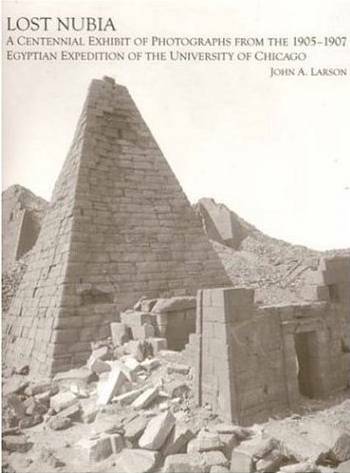 This is, therefore, the publication you have been waiting for (although it is a re-printed/slightly revised version of an earlier publication of 1983, which fell out of print), and it details the discoveries of the University of M i c h i g a n Expedition to Egypt from 1924 to 1935. All the questions you may ever have asked about Karanis are answered here, and, as a frequent visitor to the site, I find that it now makes much more sense, having read this book. The contents cover the rural economy of the area in Roman times, the excavations at the site, domestic life in the town, and the temples. 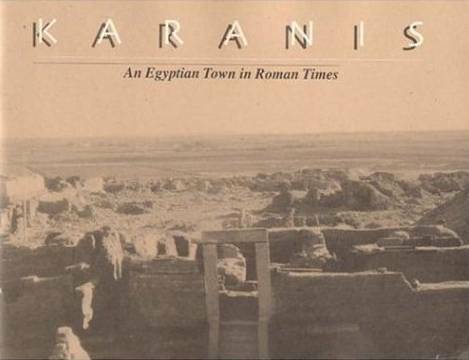 Karanis was an important trading centre, probably mostly concentrating on exports to Rome of grain grown in the fertile Faiyoum. The archive images of the houses and temples as excavated are excellent. (Many of the houses are now choked with sand and impossible to see.) The scale of some houses is remarkable – many were three stories tall, often being built directly over the remains of earlier houses. The book is richly illustrated (all in black and white) with photographs, line drawings and plans. These are truly fascinating. Most interesting are perhaps the small finds from the site, which include textiles, furniture, personal items, tools and toys, all of which help us to visualise Karanis as a thriving, bustling centre of activity and trade in the Roman Period. ISBN 0 974187 3 0 5. 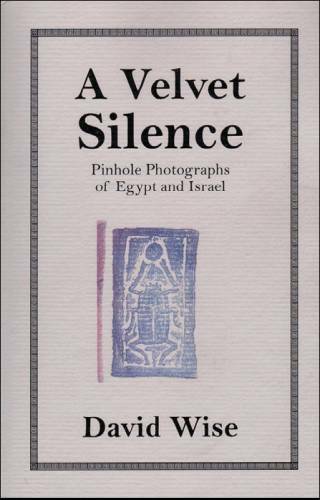 This is a fascinating book and whilst not "Egyptology" with a touch of Israel as one would expect, is rather more about modern images taken in a similar fashion to the early camera obscura photographs. It is an interesting insight to photography as used by Flinders Petrie, alongside which an interesting narrative transports the reader to the expanses of the desert and ancient sites as well as revealing some interesting thoughts in the mind of the author. The original idea for David Wise’s trip was a chance hit on a website citing that the oldest pinhole camera photographs were taken by William Flinders Petrie around the 1880s in Egypt and that in 1906 he was "pinholing" the pyramids at Giza. This led David to follow in Petrie’s footsteps. So follows a beautifully produced book, full of excellent camera obscura photographs, taken and developed by David en route. They transport the reader back a hundred years, whilst displaying the beauty and magic of Egypt’s birthright with a panorama of dunes, fossil outcrops and oases. Much of the narrative is based on the dozen visits David has made to Egypt over the past years and whilst this is not in a continuous format, more in a diary style, there are illuminating concepts and impressions his experiences have yielded. I especially enjoyed his encounters with the emptiness of the desert and its peace. His comments on his altogether different reception in Israel are also intriguing and enlightening. The book’s presentation is slick and the end papers are nicely produced from antique printing plates of an Arabic poem, translated at the beginning of the volume. The amount of work needed to produce this interesting publication has very obviously been a labour of love. One cannot fail to feel the passion of David’s work, which manifests itself in every photographic plate. I found this truly gives another dimension to those of us who love and have journeyed into Egypt, whether as Egyptologist, holidaymaker or armchair traveller. Chris works at the Herne Bay Museum for Canterbury City Council Museums, is a tutor in Ancient Egyptian studies for the WEA, is undertaking post-graduate research in Egyptian medicine and researching Egyptian law – crime and punishment. The period we know as the Middle Kingdom (2055-1630 BC) is regarded by many as one of the most important in the history of ancient Egypt, when the arts flourished and Egypt began its expansion and the beginings of the Egyptian Empire, reaching its peak in the New Kingdom. Objects from this period are plentiful, but monumental structures are more rare and are often overshadowed, in the eyes of most visitors to Egypt, by the Old Kingdom pyramid sites and by the New Kingdom and later temples. In histories of Egypt, the Middle Kingdom is often not given the space and coverage it deserves. The ancient Egyptians themselves saw the Middle Kingdom as a classical period of art, history and literature. 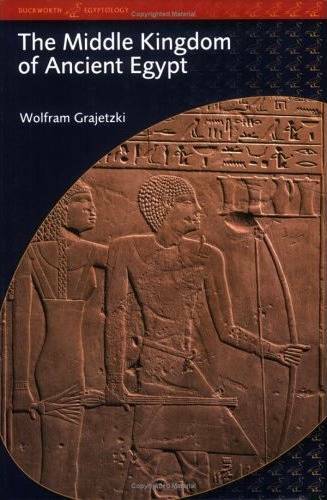 In the last two hundred years of excavations, more has been discovered about this important period in ancient Egyptian history, and the author has brought together in this new book all the latest information to produce a comprehensive and detailed history. The book is divided into three main sections. The first gives a detailed history of the Middle Kingdom, starting from the end of the Old Kingdom, to set the scene, through the First Intermediate Period, to the formation of the Middle Kingdom. There then follows a reign-by-reign account of the kings of the Middle Kingdom, detailing their exploits, their military campaigns and their building works. The second section looks at the "Archaeology and Geography" of Egypt, nome by nome, and at the temples, tombs and towns that survive. Excavations at many of these sites are described; they are why, and how, we now know so much about this period. Houses at sites such as Elephantine and Kahun have revealed many domestic items which, along with many objects found in tombs along the length of the Nile Valley, mean that we have a detailed, fascinating and sometimes intimate glimpse of life at this time. The chapter on "Society" brings all the archaeological evidence together and also introduces the literature of the period. Important documents give a rare insight into how the Egyptians organised their society and how they saw their lives. Useful appendices give a full list of Kings and their various names and another of Viziers and Treasurers. 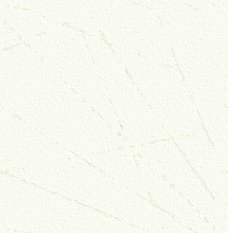 There is also a good and extensive bibliography. The author has produced a very readable, informative and scholarly book, which will be ideal reading for anyone wishing to study or just understand the importance of the Middle Kingdom. This is a catalogue produced for a recent exhibition held in the Oriental Institute Museum in Chicago. The display of of fifty-two historic photographs from the Oriental Institute Archives coincided with the new permanent installation of objects from ancient Nubia. These photographic images document a variety of archaeological sites in Nubia, some of which have disappeared under the waters of Lake Nasser and others that are so remote that few tourists have ever seen them. These documentary images, taken during the consecutive winter field seasons of 1905-1906 and 1906-1907, represent just a small part of a corpus of nearly twelve hundred black-and-white negatives that were made by the Egyptian Expedition of the University of Chicago, under the direction of James Henry Breasted. The original glass-plate field negatives for the first season of the expedition, 1905-1907, were made by German photographer Friedrich Koch. For the expedition’s second field season up the Nile, 1906-1907, Breasted decided to supplement the professional glass-plate photography of Horst Schliephack with a second camera that used roll-film. The smaller-format film negatives were used to take ethnographic photographs, as well as candid photographs of the expedition members at work. All the photographs included in the exhibition are in this book, complete with a full description. Archive photographs such as these are always important and in the case of many of the sites illustrated here are of special importance. Many of the Nubian temples were moved to save them from the rising waters of Lake Nasser, and the plates here show them in the original location and condition. Some temples could not be moved and these images are some of the few records we have of them today. The importance of photographs is admirably shown in one image of a splendid and intact colossal granite head of a king found at Gebel Barkal in the Sudan. Although unfinished, the head came from one of the largest granite statues to be found at this site, and stood over eighteen feet tall. The face of the statue was superbly finished. Some time after the photo was taken and before the statue arrived in Khartoum, the nose was broken off and lost.